Azad Institute of Engineering & Technology, Lucknow (AIET) is a self-financing institution It was established in the year 1998 and is run by Azad Educational Society, LucknowThe institute is committed to Impart quality education and training to the students in the chosen field of study, to enhance the knowledge, infuse confidence and sharpen their skills preparing to compete in today’s globalization age and changing scenario. Azad Educational Society was established and registered in Sept. 1991.under the Societies Registration Act 1860. The Society was established with the main objective of development of social, educational and intellectual level of boys & girls. 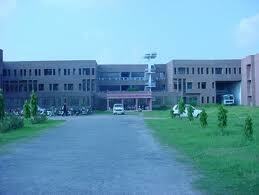 The society also aims to develop new institutions for imparting higher education. Placements: The cell evokes a sense of confidence among the students regarding their future. Our senior faculty assist the students in defining and realizing their next career move. Perhaps the greatest manifestation of student’s participation is in terms of placement committee. Dell Asia Pacific Digital Equipments Ltd Easi Technology Pvt. Ltd.
Hewlett- Packard India Ltd. HSS Honeywell Ltd.
Campus: Azad Institute of Engineering & Technology, Lucknow (AIET) is a self-financing institution It was established in the year 1998 and is run by Azad Educational Society, LucknowThe institute is committed to Impart quality education and training to the students in the chosen field of study, to enhance the knowledge, infuse confidence and sharpen their skills preparing to compete in today’s globalization age and changing scenario. Azad Educational Society was established and registered in Sept. 1991.under the Societies Registration Act 1860. The Society was established with the main objective of development of social, educational and intellectual level of boys & girls. The society also aims to develop new institutions for imparting higher education. Institute has a well furnished Boys’ hostel in it’s campus. There are four floors in the hostel and students are staying year wise on different floors. There are single, double and triple seater rooms available, depending on their choice. Hostel capacity is for 160 students. There is a guest room for parents without any charge.The mess facility is also available for students. There is a warden and assistant warden to look after the students. Medical facility is available 24 hours for the studenst. College ambulance is available for the students in case of emergency. There is a common room for the students where TV and indoor games as table tennis, carrum, chess are available for students. Outdoor games as cricket, volley ball, football, hokey, badminton are also available for inamtes. Institute also provides Gym facility for the students. One sports teacher is there for the students to coach them. Internet facility is also available 24 hours for the students in their rooms. English & Hindi daily newspapers, employment news and magazines are available for the hostel inmates. Institute has a well furnished Girls’ hostel viz. Maulana Abul Kalam Girls Hostel in it’s campus, it can accomodate 50 students. There are four floors in the hostel and students are staying year wise on different floors. There are single, double and triple seater rooms available, depending on their choice. There is a guest room for parents without any charge. The mess facility is also available for students.